When I worked in a church as an educator, it was hard to think ahead for Advent planning. I would go in stores and hate to see things decorated for the Advent and Christmas season in September. But the truth is… I’ve had to get rid of this thought as a resource person. It is important to think far enough ahead and get the resources out so that people can plan and utilize the resources for the best planning efforts in their congregations. Thus, the countdown to Advent and Christmas begins in the Board of Cooperative Ministries Resource Center. In the image above we have our Advent books on display and are taking reservations from people wanting to use a particular resource during Advent. The Resource Center not only loans the books out to congregations to use but will purchase them for churches at the best price possible. Be sure to come in and see our countdown to the Advent season with some pretty awesome new resources. This provides a perfect way to slow down and reconnect with the traditions that illuminate the meaning of Christmas and the Incarnation. It offers a tapestry of reflection, Scripture, prayer, and history. We all need to pause and understand the spiritual richness of the season. This study is based on the book by Charles Dickens. It explores the world of Ebenezer Scrooge, Tiny Tim , and the Cratchits with an eye to Christian faith. Along the way you will meet the Ghosts of Christmas Past, Present, and Yet to Come and learn about living with and for others in a world blessed by Jesus. There is a four week DVD study with leader guide and a youth study. This particular author has taken several novels and worked with them from a faith perspective in a very creative way. It is sure to intrigue you. The Gospel of Matthew names five women in the family tree of Jesus: Tamar, a forgotten daughter-in-law and widow; Rahab, a prostitute, Ruth, a foreigner: the wife of Uriah, an adulteress; and of course Mary, a young virgin. This study explores the stories of each of these five women, showing how they all played a pivotal role in God’s purposes. You will uncover new dimensions of the story of God’s people and how that story comes into focus in the hope for the Messiah. Each chapter offers questions for reflection and discussion, a brief prayer, and a focus for the week. We hear so many familiar Advent passages, so it is refreshing to look at some of the untold stories. In this book of 24 reflections, Howell invites us to revisit familiar songs of the season, even some secular ones, and contemplate certain phrases and their meaning for us. It includes a leaders guide. What a wonderful resource in many settings but I can really see it as a short Bible Study for choir members who sometimes miss out on Sunday School and spiritual enrichment times. At a recent gathering of the East region the Association of Presbyterian Church Educators, Elizabeth “Lib” Caldwell, retired professor of Christian Education at McCormick Seminary, led a discussion of things to consider when choosing a children’s Bibles. She offered a variety of criteria, or lenses, through which to examine children’s Bibles. First, consider the content and the length of the stories. What translation is it based on? Is it faithful to the text or does it add material? Does it cite the text? How much of the story is told? In its simplification or rephrasing is the main point of the story preserved? Will it hold the reader’s (listener’s) attention till the end? Are there too many or too few details? Then, look at the illustrations. What kind of illustrations are used? Are they characters? Are they drawings? Are they artistic? Do they invite children into the story? Do they make the story come alive? Next consider the interpretation that is happening. How do they title the story? Does it really tell what the story is about or does it point to a particular ‘message’ to be conveyed? Does it attempt to find Jesus in every story, from both testaments? And finally, does it offer helps for parents? Does it give resources for parents to help engage the child? Does it invite both parent and child into the story? Does it offer ways to continue the conversation about the story, applying it life? Caldwell’s two favorite children’s Bibles are The Deep Blue Kids Bible and Shine On: A Children’s Story Bible. Both offer simple, faithful texts, engaging illustrations and offer ways to engage the story beyond the printed page. Any material marked with an asterisk is Beth’s choice. These are generally selected stories from the Bible told in appropriate age level characteristics. These are generally more than picture books and give some discovery questions to ponder. They are written in simpler language for this age level covering a variety of stories from the Bible. Several are associated with particular Sunday School curriculum so if you are using Deep Blue, Spark, Shine On, or Whirl, it would be best to choose one of those options. These options are laid out in the traditional Bible format and have sidebars with good reflection questions to consider. Again, some are associated with a particular curriculum so you should choose those if you are using that curriculum option. With these recommendations and if you have been at one of my presentations on my faith formation recently, you can see that Bibles have played an important part in my faith journey. My first Bible was given to me by my sister and is still used today. 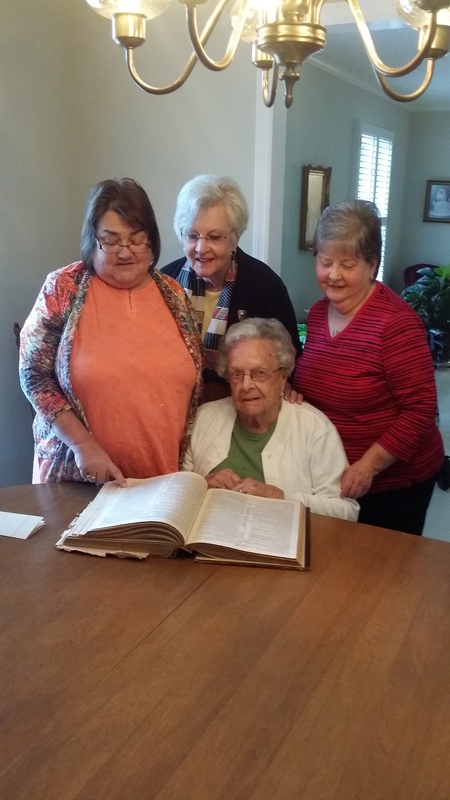 Reading the family Bible with my namesake grandmother who taught me the value of reading stories from the Bible at a young age. And my newest Bible acquisition: a journaling Bible where I can find my favorite verses and illustrate why they have so much meaning to me. The different Bibles I have come across are important parts of my life and story and always will be. I hope that congregations will keep up the tradition of giving the right Bibles to children at the appropriate age and recognize the importance of these Bibles. Looking for the right Bible or for ideas on presenting Bibles as gifts? Come by the Resource Center and we will be happy to assist you! Why Doug’s position? Weren’t there other places you could cut? In order to answer that, it helps to go back to the beginning of this process. Given our “high-touch” ministry work, our staff costs (salaries, insurance, taxes, etc.) for nearly five staff people and contract labor equal about 60% of our budget. So we knew that any major decrease in income would logically hit this area the hardest, but that it would also require cuts in many parts of our ministry budget. Increasing income through other sources (limited due to current provincial fundraising restrictions). Transforming/evolving BCM’s vision and reconfiguring around that. The group presented the Executive Committee with some recommendations about ways to address these looming financial challenges. This group strongly suggested BCM’s ministry must flow from its priorities, which need to be realigned in light of both the recent BCM planning retreat outcomes and the dynamic, shifting landscape of church. Parallel to that conversation, the Provincial Elders Conference (PEC) has long been considering ministry priorities, as is their mandate from Synod. Brother David Guthrie shared at BCM’s July meeting a memo from PEC outlining a shift in BCM ministry priorities, which needs to occur prior to the 2018 Synod. Specifically, BCM is asked to focus on congregational development, leadership development, and emerging ministry efforts. Reimagine the Director of Youth, College, and Young Adult Ministries position so that ministry work is carried out primarily by volunteers, contract employees, dual call, or teams of individuals. A percentage of the funds currently designated for this full-time position would be redirected towards continuing youth, college age, and young adult ministry as well as emerging ministry. Reduce elements of BCM’s program and administrative budgets. So, after a thorough analysis of all our options, this is where we landed. It has been many months, many conversations, and a lot of prayer that has led us to this place. We didn’t get here easily. Why didn’t you just pull money from your endowments or invested funds? We don’t believe that is a sustainable option. BCM’s primary income source (approximately 80%) comes from congregational provincial share funds. The rest of BCM’s income comes from interest or planned disbursements from invested and designated funds, and Resource Center profits. The Executive Committee considered whether money could be used from BCM’s various funds to cover the budget shortfall, but determined that using these funds for operations would not be sustainable over any significant period of time. They believe these funds are best used either for their intended purpose (many are restricted to certain ministries), to infuse various ministries with needed resources, or to cover emergency situations. Could you not try and raise that money through direct fundraising? The Southern Province has used a “unified budget” approach for many years, which provides funding for its various agencies through church income and other sources. Direct fundraising requires approval by the Provincial Support Service Board, and while there may be changes in the future, direct fundraising is not currently a viable option. What happens now? How are we going to make sure we’re still focusing our efforts on youth, who are so important to the church? The Executive Committee already met with some of the youth and young adults who have leadership roles with the Regional Youth Council and the Young Adult Ministry Team. We explained our situation and listened to them share their frustrations, questions, and suggestions. We took lots of notes. We’re now devising a plan of action to reimagine existing programs with new staff configuration and with greater input from those we serve. We’ll be talking more about that in the coming months. Doug has already begun working to ensure a smooth transition of youth, college, and young adult ministries to interim and/or other volunteers or staff. He and Aaron Linville recently shared the news with the rest of the Regional Youth Council and they’ll be working to make sure that all voices are heard during the transition. Additionally, BCM members will be conversing with college age Moravians to discover how they might want to see this ministry continue. In many ways, this provides everyone (churches, members, clergy, the province) opportunities to deepen and strengthen their relationships with young Moravians. Our young adult leaders are confident they can provide for themselves, with staff support from the BCM coming from remaining staff. What about next year? How will you continue your ministries with few resources? That’s a good question and one we have been talking about for quite some time. We know that we are facing an adaptive challenge, one that will require all of us, not just provincial staff, to solve. The upcoming Synod of 2018 will provide the opportunity for us to make some bold choices about the future of our church and our ministries. Despite the challenges facing the church, we are hopeful that working together, we can become a church that shares the faith, love, and hope of Christ in the world. We will need to be creative and persistent and faithful. We commit to creating and continuing conversations about BCM’s long-term sustainability as well as being part of the solution and not the problem. What will happen with emerging ministries? 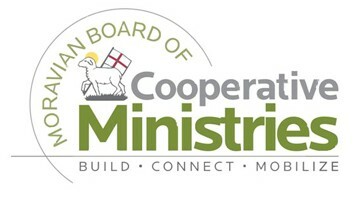 BCM is beginning conversations with PEC regarding the definition and implementation of emerging ministries. We’ll soon develop a working group to further explore ministry plans. We have set aside funds for the 2017 budget to provide both program and limited staff support in this area, but these plans are still emerging themselves! Will Doug be open to call to a congregation? Of course! Like all those who are ordained, Doug is open and eligible to receive a call. PEC actively considers all pastors for call and Doug is no exception. Doug is first and foremost a servant of God, willing to trust that God will reveal a new way for him to serve within the Moravian Church. What are you going to do to recognize Doug’s work? Doug has been with us since December of 2012 and we want to be sure we celebrate his time with us. We are currently consulting with those he serves most often and will let folks know of any plans as soon as they are made. In the meantime, we will take every chance we can to affirm Doug’s important ministry and to celebrate the many ways he’s made a difference in all our lives. We encourage you to do the same! 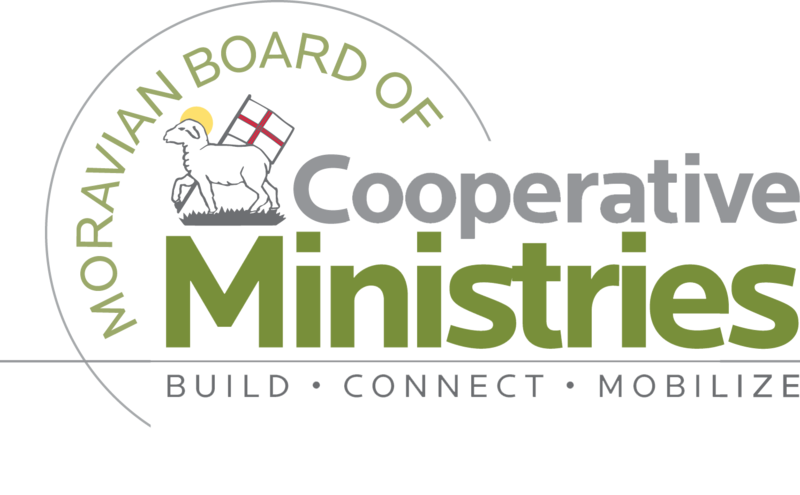 Since 2009, the Board of Cooperative Ministries, or BCM, has been engaging and supporting our Southern Province Moravian congregations in their ministries. We provide hands-on ministry support for children & families, youth, college age, young adults, clergy, lay leaders, older adults, and more – both provincially and in congregations and RCCs. It takes a lot of people, creativity, dedication and money to do this important work. Our four and half-person staff and 25-member volunteer board strive to be good stewards of the money given to us by churches through their provincial share contributions. Nearly 80% of BCM’s income comes from church support, part of what you put in the offering plate on Sunday, and for that we are very grateful. And yet the world and the church continue to change. One consequence of this change is that, this year, income is down significantly. We must reimagine and realign ways we do ministry. After months of study, conversation, discernment, and prayer, the BCM approved a budget acknowledging these new realities. In the next year, we’ll provide Regional Youth Council, college age, and young adult ministry support, but we’ll be doing it without a full-time staff person. Beginning in January 2017, the Rev. Doug Rights will no longer serve as Director of Youth, College, and Young Adult Ministries for BCM. We are sad to see him go, but glad that he will continue to share his many, amazing gifts with the Moravian Church and that he will continue to be a significant advocate for our youth. As we say goodbye to Doug, it is our priority to make sure these ministries do not end. We are developing plans for the youth and young adults in our province to have the leadership they need. We’ve answered some of the most common questions about this change in another post. Please stay tuned for details about how we will celebrate Doug’s years of ministry with BCM as well as our plans for providing ministry during challenging times. We ask for your prayers and your continued support, and may God continue to bless all of us as together we grow in faith, love and hope, following Jesus in serving the world. Questions? Visit our Q&A post. A few months ago I wrote a blog about our Moravian college students and the importance of making them feel connected to their congregations while away. With a new school year underway, it is a good time to revisit how churches can serve and meet the needs of their college students. Even though many of our college students are away from home and away from their church homes, that does not mean they should feel disconnected from home. Our college students are an important part of our churches. In my previous blog, I shared some ways our churches can stay connected to our college students. I would like to highlight some of these ideas again and have added some fresh ones. Have someone who is responsible for knowing who your college students are and how to contact them. (I would appreciate getting a list of your college students and contact information so I can contact them too). Have someone from your congregation contact your college students to check in with them. Find out how they are doing. Ask if there is anything your church can do for them. Make sure they get your church mailings, newsletters, and any other church information that goes out. Have people in your church take a special interest in caring for a college student (adopt-a-student). Pray for that student and keep in touch with him or her or them. Send care packages, especially during exam times or at the beginning of a semester. Have someone in your church visit them and take them out for a meal. When they are home and come to church, make sure you welcome them back. When they are home, offer them opportunities to get together with other students such as at cookouts, going out to dinner after church, or have some type of class for them. For something like this to happen, it is best to have someone willing to do it and be responsible for it. Also realize that not everyone is called to attend college. Be supportive of everyone who is college age. When the time comes that our college students graduate, they may remain close to your church or they may be far away. Whatever the case, may all of our churches be faithful in carrying out their ministries to college students as they continue to journey with the Lord! The views of the author do not necessarily reflect those of the Moravian Board of Cooperative Ministries (BCM) and/or the Moravian Church Southern Province. The 2016 election will go down in history as one of the most volatile, perplexing, and unique of American history. There has been a rift in our politics, one that has built over some time. It is a crevasse so wide, that it seems we can no longer merely “reach across the aisle.” Bipartisanship is treachery and party loyalty is everything. Whatever it takes is within reason as long as it means preventing the “other side” from occupying the White House or Congress. Our politics are occupied by an all or nothing mindset with little to no room for compromise, something which should be at politics’ core, as David Brooks writes for The New York Times. We see this in the non-establishment candidacy of Donald Trump, Bernie Sanders supporters who refuse to support Hillary Clinton, and those who reluctantly back Clinton to defeat Trump (and vice versa). Unfortunately, sometimes these attitudes seep into our churches too. Fortunately, our God expands well beyond the confines of politics and government (Mark 12:13-17). Ours is a God that does not ask for the Democrat or Republican ballot… nor does he fly any particular nation’s flag. God’s attitude that we ought to evoke in our politics and opinions is straightforward: love and grace. That is the flag God flies. This love and grace, seen in the gift of Christ, allows us to bridge the crevasse of our imperfections, bitterness, brokenness, anger, disagreements, and more. This allows for more refined views that don’t get mired in an ideology. John Hus knew this. Count Zinzendorf knew this. The Moravians at Herrnhut discovered it in 1727 with the help and touch of the Holy Spirt. And I’ve discovered this over the development and evolution of my own personal politics. It was 2004. We held a mock presidential election at Thomas Jefferson Middle School. John Kerry was running against the incumbent George W. Bush. Thinking I was a good ‘ole Republican like my dad was at the time, I loyally “voted” for the reelection of the forty-third president. Just as in the real-life contest, Bush won the election that day at Thomas Jefferson Middle School. Fast forward to civics and economics class in high school. We took a political questionnaire that gauged your political leanings. I don’t exactly recall how the questionnaire scored me. I asked my dad what he thought my political leanings were. He thought I was probably conservative or Republican. In high school, I participated in a pro-life day of solidarity. The one where you go to school with “Life” written in sharpie on red duct tape. As a high school student, did I really understand the complexities of reproductive healthcare and rights? It was more likely that I was following the group I found myself in at the time. Was it simply that it is comfortable to swallow familiar rhetoric, be it conservative or liberal, and fit in with a community? “All have fallen short.” April 3rd, 2015. Andrew David Cox. Not long after, the topic of abortion rights came up with my sister while riding in the car with her. She challenged what I thought were my views, and to this day I have a nuanced perspective on reproductive health. I don’t fit neatly in pro-life or pro-choice camps. At the same time, I would openly refer to myself as feminist, progressive, Christian, and an LGBTQ ally. I find myself in this decisive and extremely polarized election season to be even more reluctant to don such a large label as “liberal.” For a long time, I’ve avoided saying “I am a liberal” and instead say I “lean liberal.” “Progressive” seems to carry less political weight. Is that all labels are though? Just about perception without any objective strength? Sometimes yes, but this is not always the case. Early in my college career I found myself developing my views on the issue of homosexuality and gay marriage. Like I wrote, I count myself an LGTBQ ally. Well, what does that mean? At the beginning, it just meant that there’s no reason gays should be prevented from being married. Why? In particular how this view fit into my Christian faith was important, as it was already a prominent wedge issue dividing the church. So for my collegiate senior seminar course I wrote my research paper on objectively arguing why homosexuality is not a sin or morally wrong. I wrote about not only my feelings on it, but the facts about it that could back up my feelings. I found several sources that backed up my argument, but I also highlighted the opposing view. In my paper I recognized the potential holes in my view. There was something freeing about considering the possibility of being wrong. Perhaps our pride as imperfect beings prevents us from doing this more often. Orlando. A troubled man shoots up a gay nightclub, killing scores of innocent people. Young people who had their whole lives ahead of them. In a group text message with a couple close friends the event comes up in conversation. Like many, I jump to gun control. One of my friends, frustrated, says it’s not about gun control. I’m blindsided by false consensus-bias, a phenomenon Sean Blanda artfully explores for Medium. I try to argue my viewpoint, but those persistent facts kept creeping in. And they’re not on my side. They cut through my reactionary partisan feelings on the issue and I find myself having to admit I’m wrong. Once I was able to lay down the pride, it was an incredibly freeing feeling to accept a new perspective. Much like my views on abortion, my views on guns have become more nuanced. They don’t fit neatly in a liberal or conservative box. Absolutism is a dangerous thing. Our desire to fit into a community, to be on a team, produces these echo chambers. We find ourselves very infrequently exploring the possibility of our team being wrong. We become entrenched. Even if certain views are unjustifiable, do we even look beyond the surface and to the root cause of those views? Would that not be more constructive than mocking someone? Political discourse should be more like love and done more out of respect and civility. Ultimately, as Christians, this is what we are called to if we are to help bridge this crevasse. We Moravians have been in this ugly climate of disagreement before (see Ginny Tobiassen’s meditation) and the navigation of turmoil, divisiveness to a place of collaborative and radical community is in our DNA. In his lecture as a part of BCM’s Comenius Learning Series, Dr. Thomas Fudge talked about John Hus’ perspective on forming opinions. If Hus was confronted with an argument with more sound reasoning, logic, and evidence, he adopted that new view. Fudge said, “[Hus] would warn us of exclusive and non-negotiable truth claims.” In this increasingly ugly political climate, the only non-negotiable truth I can get behind is everything I do should be done out of love and grace. For non-partisan resources to help inform you, check out Ruth Cole Burcaw’s post on Moravians and the Responsibility of Citizenship. Andrew David Cox is the Communications Project Manager for the Moravian Board of Cooperative Ministries (BCM). Andrew drew editorial cartoons for The Appalachian, the student newspaper of Appalachian State from the fall of 2012 to the spring of 2014 and for a year and a half after graduating. His cartoons earned the 2014 Association of American Editorial Cartoonists John Locher Memorial Award for student cartooning.